To order online, please choose hardbound or paperback. You will be taken to PayPal where you can choose the number of copies you'd like to order and provide your shipping address. You do not need a PayPal account to order, you can use major credit cards. You will receive an email acknowledgement from us. The books will arrive by media mail in approximately three weeks. Shipping is included. 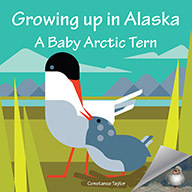 Fathom Publishing Company is an Alaska-based book publisher since 1981. We started publishing Alaska topics and then followed with legal treatises. In recent years, we've published short stories, fiction and biography.